With the carp spawning in many of our waters, it is surely safe to assume spring is here to stay. Looking back at my fishing this past winter, I can confidently say it has been my best season ever. Living in the Free State we often have to move around to many different waters to catch a carp of substance. This past winter I decided to focus my attention on only two waters; one very close to home, and the other the Vaal River, which is about an hour’s drive. 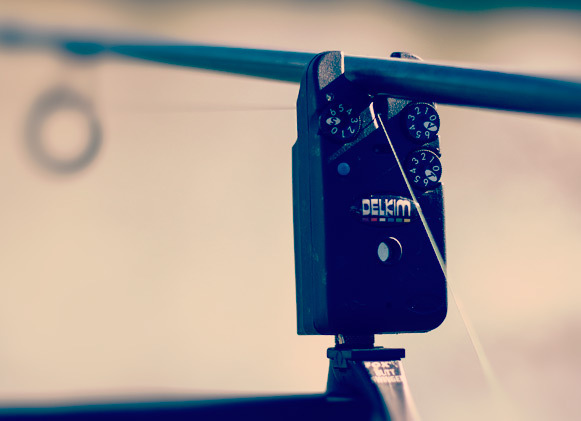 The norm in South Africa seems to be to cut down on free offerings and fish with small, brightly-coloured and strongly flavoured hookbaits. Conformity is not something I am very fond of, hence this tactic did not appeal to me at all. Naturally, my bait of choice would be something different. In my case I used boilies (and lots thereof) with a twist. The bait I used was a homemade spicy crab and salmon mix. It is unique in the sense that it has absolutely no artificial flavours or colourants. Baiting heavily, even during the toughest sessions, was the order of the day. Even when the fishing seemed really slow with not much happening, I kept the boilies flying in. Looking back at some of my sessions, it might have been considered a little crazy had it not been for a few special carp gracing my landing net. 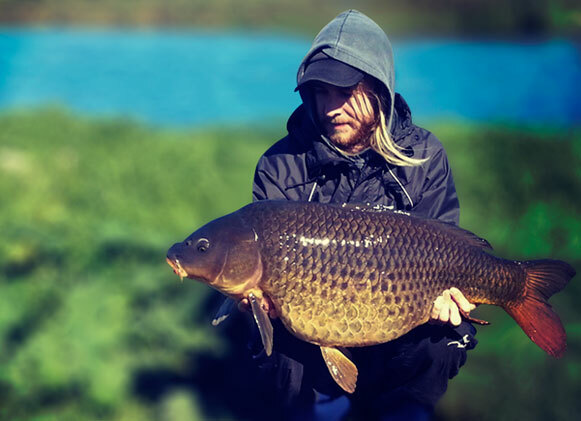 I remember one specific session at the Vaal earlier this year where I had baited with almost 20kg of boilies before catching my first carp. My hookbaits mostly consisted of double 20mm boilies and a snowman presentation of equal size; this presentation accounted for a significant number of catches. 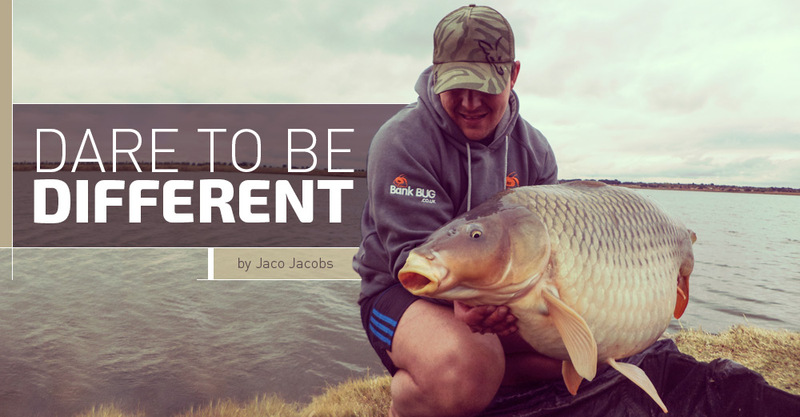 Being different can often yield the edge you need to outsmart those big, wary carp. Fishing the last cold front of the season, it seemed a little insane braving the extreme winds, cold and rain at my local venue, but I was sure it was the last chance of catching a pre-spawn lump. When I arrived at the water, it was evident that not many other anglers were foolish enough to challenge the weather. On the Friday night the wind was howling across the lake, and it was too risky to launch the boat and place a line. 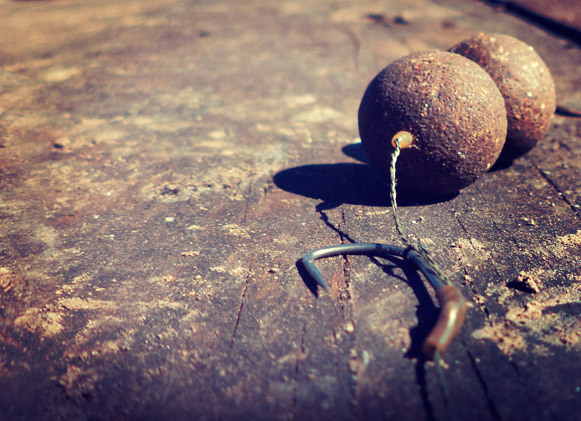 We opted for Plan B: using PVA bags with some boilies and a homemade popup on a Hinged Stiff Rig. During the night the wind caused havoc, blowing my pod over and accounting for many false beeps. It drove us nuts! At 4AM, my right-hand rod eventually roared off; after a brief fight, a carp of around 8kg saw the inside of my landing net. At first light I was out the bivvy and on the lake while the wind was still relatively calm. I left a marker out and baited up with around 3kg of boilies, some hemp and maple peas. I fished with two rods next to the baited area and one rod some distance away. The lone rod was very different from the norm – the hookbait consisted of a 20mm homemade wafter, tipped with a 20mm homemade popup. Being very buoyant, meant that the entire hookbait would be suspended off the bottom. Knowing that I wanted to fish a very silty area, I also wanted the hookbait to be clear; this was accomplished by using a very long hair (around 2cm). The appearance of the rig looked very unorthodox. During the day, a fairly large barbel decided to come along and get me all excited, generating some serious flack from fellow anglers for catching one during winter and even more so because it ate one of my boilies! At around 4pm, this was all to be forgotten when the rod in the thick silt bent like never before. About 20 minutes later (after a magnificent fight) a stunning 15.9kg common was lying in the carp cradle ready for a photo shoot. This carp was caught from an area that nobody fishes and with a rig that nobody uses. Being different paid off!